Next month, the BBC releases a “Special Edition” of a DVD you already own. You’re a Doctor Who fan, so it won’t have escaped your notice that two ‘lost’ stories from the much-lionised Patrick Troughton era were recovered in 2013 amid a flurry of press and publicity that almost threatened to melt the internet – twice. Back from wherever telly-we’re-never-going-to see-again lives came the all-time most-wanted ‘lost story’, the apparently unassailable The Web of Fear (yeah, some might say, just like Tomb of the Cybermen was unassailable – until we saw it…) and its intriguing but less well-regarded season-mate, The Enemy of the World. They were back and it was about time, and we were so, so lucky to be able to have them again. Even now, it’s pretty hard to tell when we’d have known about their return, if not for the press leak that fuelled the so-called ‘omni-rumour’ (of 109 recovered episodes, apparently) and the wildfire press and fan attention (Internet Melt 1) that pinned down the BBC and those-in-the-know-that-didn’t-mind-lying-about-it-to-those-not-in-the-know and practically forced them to reveal that something had been returned. What followed, as you no doubt know, was a very 21st Century development: the ‘rush release’ of said stories onto iTunes for download into the hands of hungry – perhaps even greedy – fans such as you or I before any whole or part of them could find themselves pirated onto YouTube or whatever. But mostly because they wanted to be kind to us and make sure we had them as soon as possible (Internet Melt 2). Yeah, that just might be true, that they had our interests at heart. Who could, in all faith, deny that? I mean, it’s not like they were going to be releasing them on proper DVDs any time soon, was it? 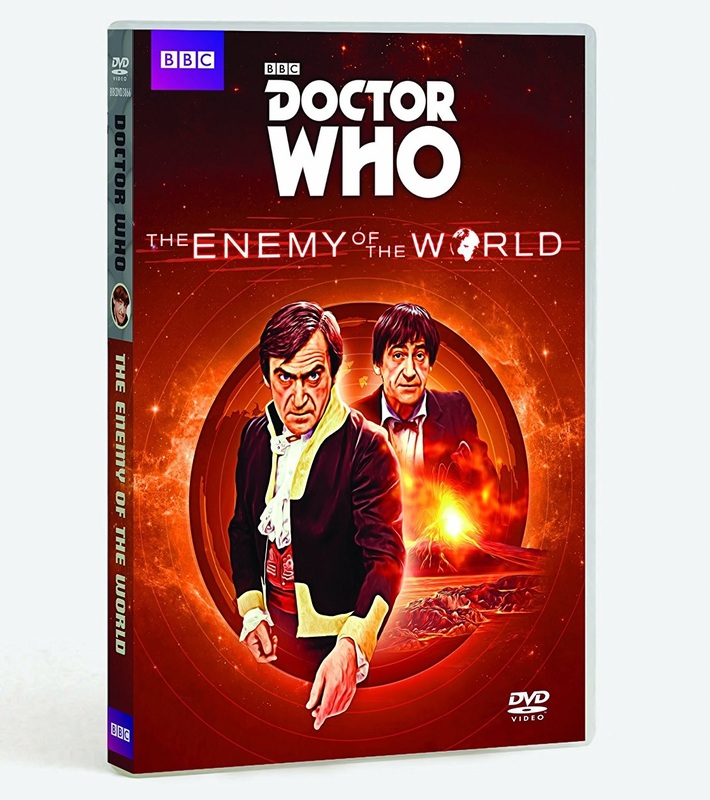 The Enemy of the World, written by David Whitaker (perhaps the biggest single influence on early Doctor Who) and directed by future producer Barry Letts, marking his place as one of the series’ most inventive and creative directors, is relentlessly and magnificently epic. Those who read Ian Marter’s excellent 1980s novelisation might have suspected as much, but this one just keeps on moving, full of intrigue, excitement, double-cross, red herrings, and twists and turns aplenty. At its simplest – because you’ve all seen it, so not much point in me telling you at great length – the Doctor, Jamie McCrimmon (Frazer Hines), and Victoria Waterfield (Deborah Watling) arrive in Australia in the very futuristic year 2018, where it turns out the Doctor is the exact double of would-be world dictator, Ramon Salamander. At the request of Salamander’s enemies, the Doctor impersonates Salamander and travels across continents in an attempt to expose the villain’s dark secrets and reveal the hand behind a number of volcanic disasters to recently have beset the world. Letts uses every directorial and visual trick in the book to keep the story moving at an exciting pace – the helicopter P.O.V in episode one is jaw-dropping on its own (yes – they have a helicopter! And a hovercraft! ), as are the back projections used to fill out the park and the jetty, the model shots and visual effects used to effectively portray Salamander’s ‘lift’ into his underground base, and the final TARDIS effects sequences. All of this stuff, if you’ve never seen it before, elicits whoops and coos of wonder. 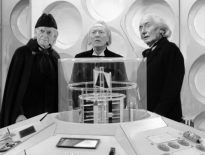 Whitaker’s script is weighty and powerful, recalling his historical tales from the William Hartnell period more than anything else, and the cast is as varied and as original a bunch of characters as Doctor Who will see at this point in its history. Comic actor, Bill Kerr fills Giles Kent with a desperate edgy steel, Milton Johns is deliciously sadistic as Benik, Carmen Munroe eats up the screen as the gorgeous and impressive Fariah, while Reg Lye’s Griffin is just adorable. The real acting kudos must, of course, go to Patrick Troughton, who does do an amazing job as both the Doctor and Salamander – he really does make them utterly distinct. There are some beautiful production designs from Christopher Pemsel and costumes from Martin Baugh, both of which combine to give us an almost Captain Scarlet/Gerry Anderson near-future. If you want to be picky, perhaps the only things that let the production down are Colin Douglas as Donald Bruce and the fact that some of the underground dwellers (Adam Verney and Margaret Hickey) are a little wooden, wet, or just too earnest. But in terms of the allegedly brilliant Season 5, The Enemy of the World wins out by the sheer freedom it allows its creators – no boring base under siege for six weeks here (and this comes as a refreshing change after the one-note dross of The Ice Warriors); this is an exciting, varied epic adventure that spans a world and is rich with very Who-ish ideas – and, most noticeably, some of the sudden deaths and acts of violence are actually rather striking, if not downright shocking. The Enemy of the World is Doctor Who doing a proper theatrical drama, a full-on Revenge Tragedy, and doing it incredibly well. But like I said at the top of this article, you already know this, because you already spent £17 downloading it and gorging yourself on it because, like me, you didn’t want to be the only fan who hadn’t seen it when the buzz was happening in 2013. A single shiny disc with a picture on it and words that tell you what it is you’re putting into your player. A plastic case in which to keep your shiny disc safe. A cover with words and pictures on it telling you all about the shiny disc you’re putting into your player. Coming Soon Trailer for The Web of Fear (which you’ve seen three times now and already own). I’m being a little sarcastic, of course, but there aren’t even Production Subtitles or a Commentary track. I don’t expect miracles – I know these things take time – but am I alone in thinking I would have been happier to wait a year or so until such items could be assembled? Surely you think the same? Well, in March 2018, we’re getting a “Special Edition” with all sorts of lovely Extras. 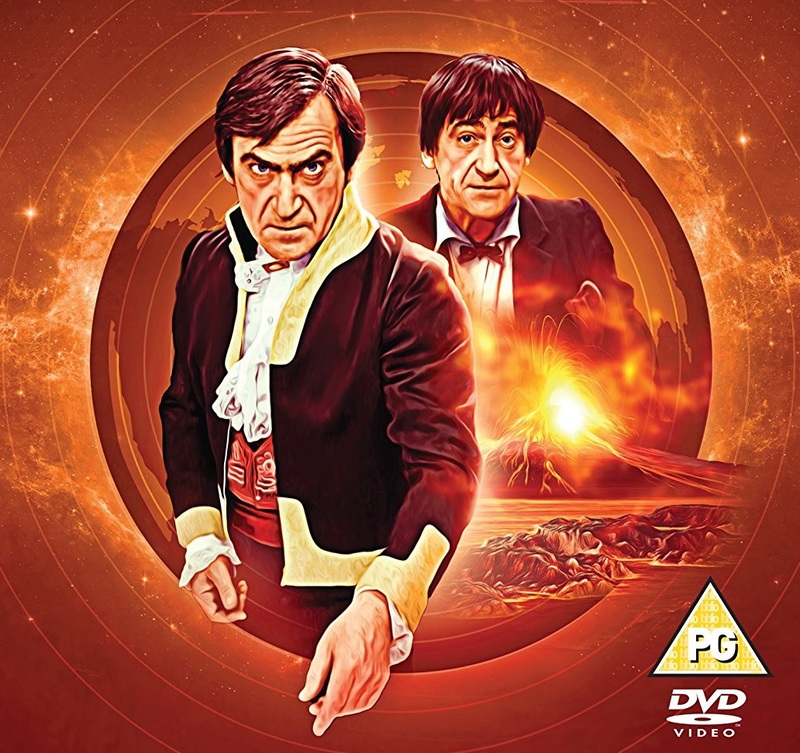 However, in 2013, this was an undeniably disappointing release of Patrick Troughton’s finest hour (or three) as Doctor Who and one of the series’ most epic and satisfying adventures. The “Special Edition” – if you don’t already have it (really?!) – will be a Must-Own. Features	Is the Second Doctor… Boring? !